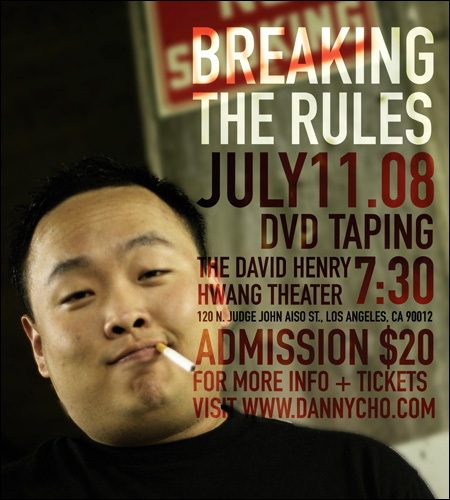 For those of you Los Angeles, comedian Danny Cho is taping a stand-up comedy DVD next month. He informs me (warns me, rather) that it's going to be "pretty vile and ridiculous." If that's your cup of tea, come check it out. July 11 at the David Henry Hwang Theatre in Little Tokyo. For more information, visit Danny's website here.